Happy weekend, folks! I've compiled a list of five of the most fabulous places for Afternoon Tea. 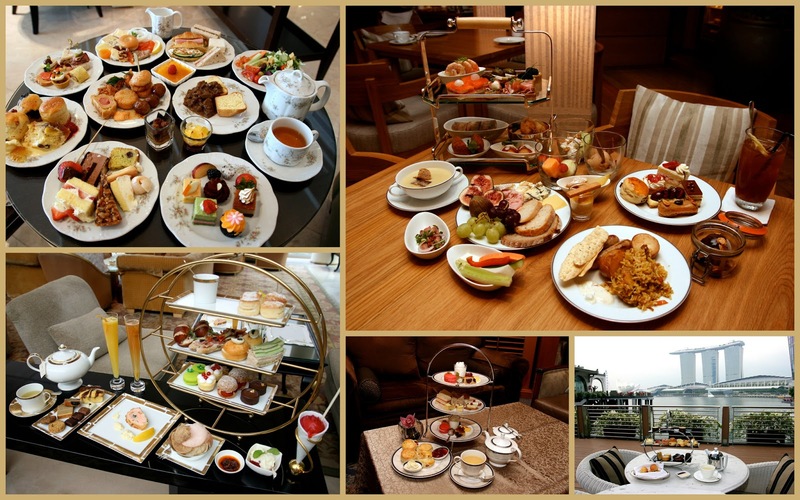 The three-tiered array of scones, sandwiches and pastries with a good pot of tea or coffee is such an elegant tea-time treat and now some places have expanded the offerings to include more courses or a buffet spread! We do love unlimited servings of goodies, don't we? Just want to highlight that the Four Seasons afternoon tea is available daily, not just weekdays. Have alerted the folks at Yahoo to change that. I just booked a trip to Singapore today, so I will be checking out one of these places. They all look so good- how will I decide? That's the thing, Lisa, they each have their strengths and special features. If you're looking for something really substantial, L'Espresso and 10 Scotts are good. If you prefer something more delicate, the Four Seasons one is perfect. Ambiance and service - Chihuly Lounge is good. For a tea with a great view - Landing Point.